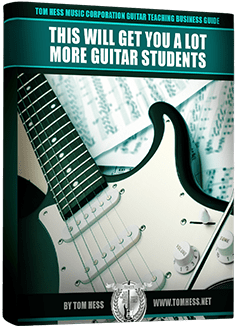 Good news: if you aren’t getting a lot of new students right now, the problem is not with you, your location, or your guitar teaching experience. Attracting lots of new guitar students really is very simple. Knowing what to do and how to do it is all it takes. If you are tired of struggling to fill your guitar teaching schedule and instead want a waiting list a mile long of people wanting to pay you for lessons, then enter your name and email, and click the 'Give Me Access Now' button. All information is kept 100% private and confidential.